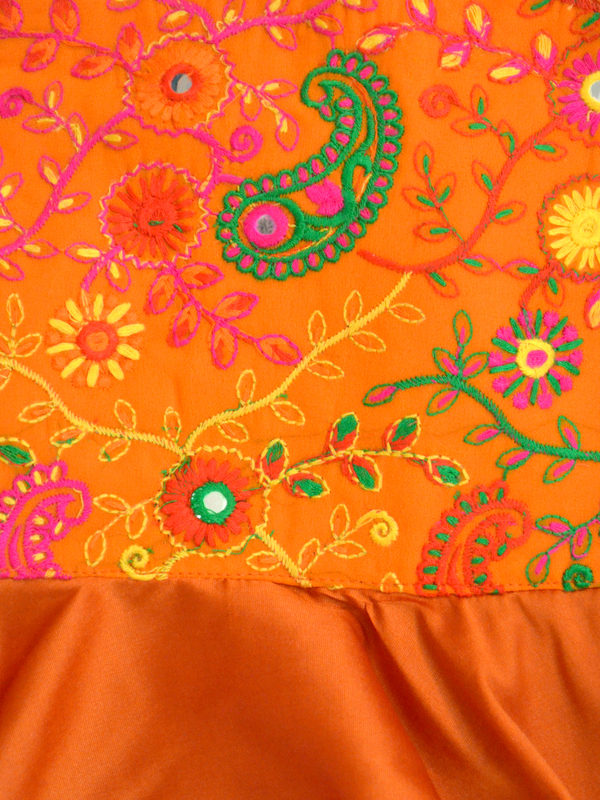 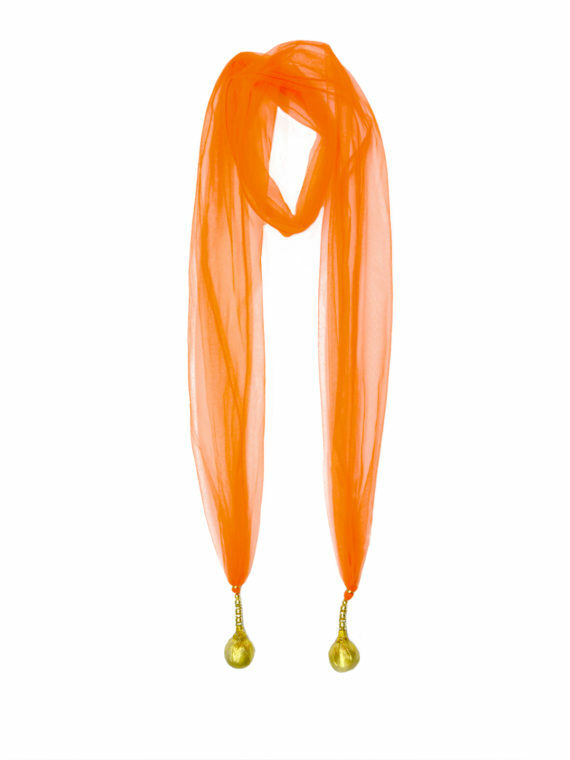 Orange Paisley Embroidered Halter Three Pc. Lehenga Set - A.T.U.N. 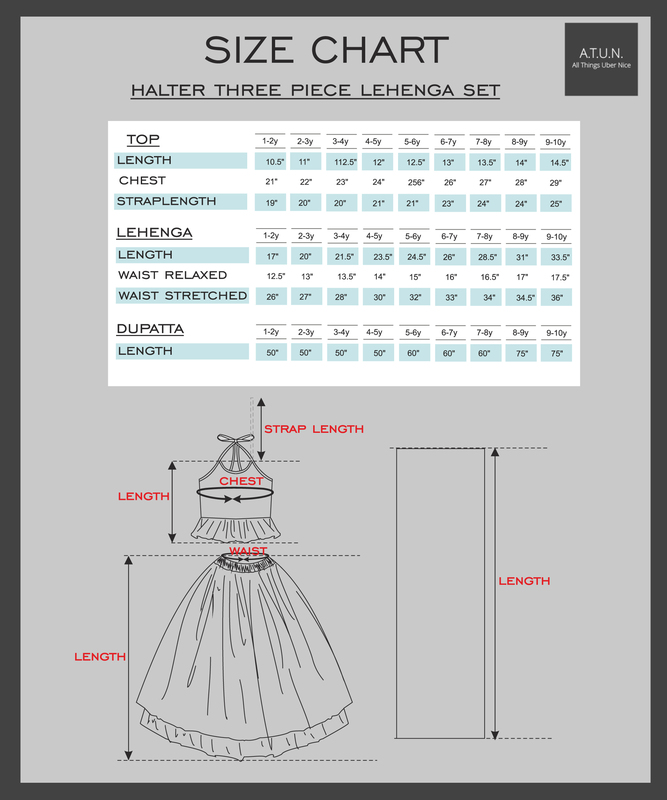 Have a wedding in the family? 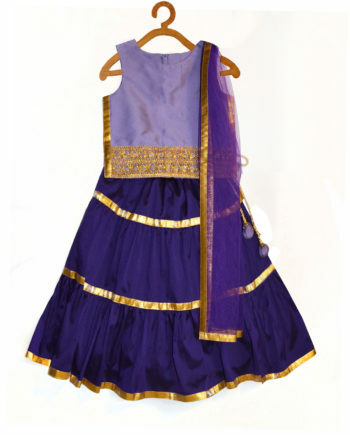 Or just one of those perfect occasion to adorn a lehenga so special your daughter will light up the event. 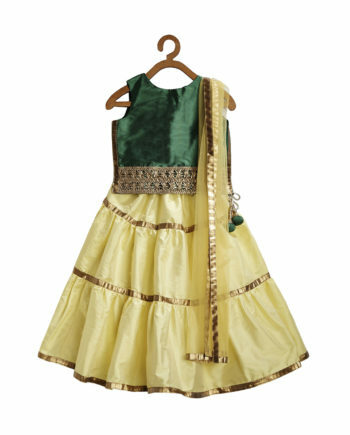 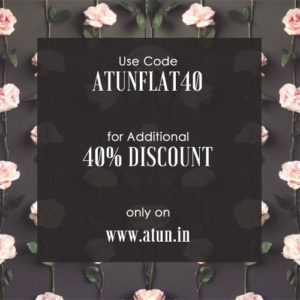 A.T.U.N has just the style in a finely embroidered lehenga. 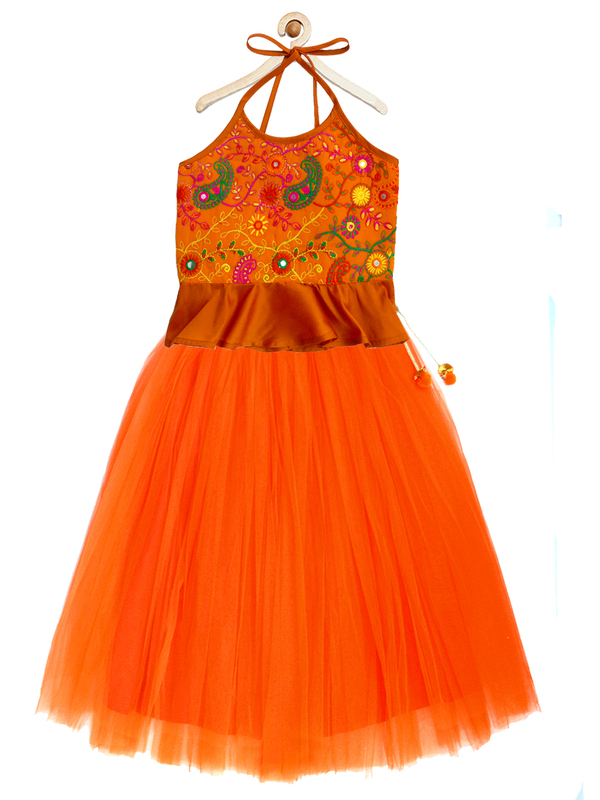 A bright shade with an intricate embroidered halter top, a light and flouncy tutu lehenga and a dupatta with tassels that completes the look of the ensemble. 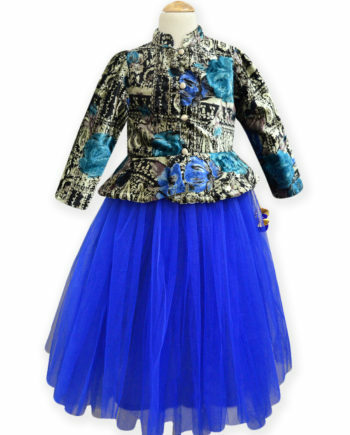 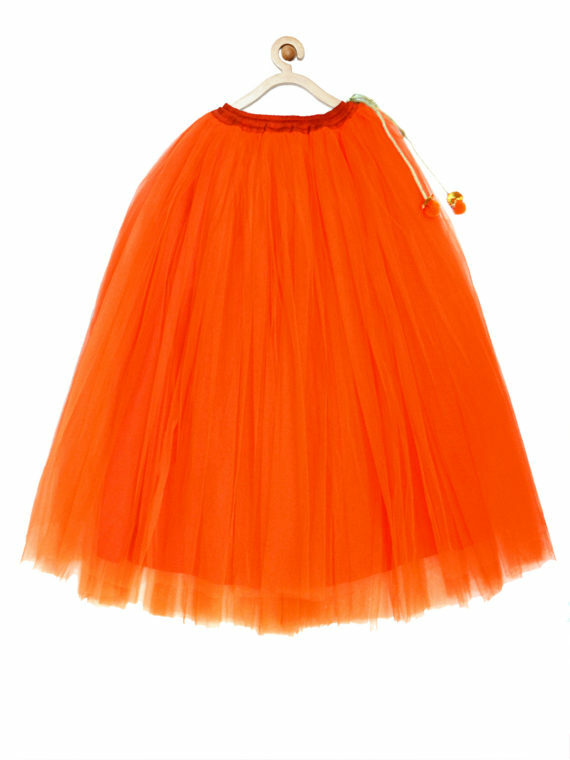 Not to miss, our tutu lehengas are light weight and very practical, all the smaller sizes come with suspenders which help to keep the lehenga in place for the little ones! 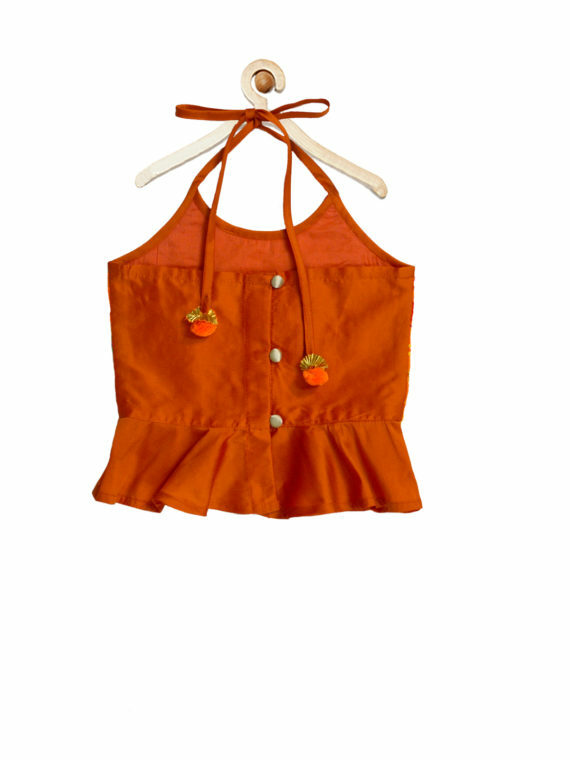 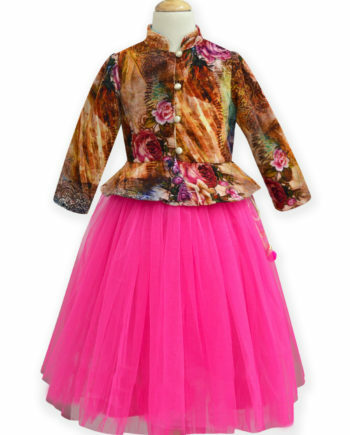 (in sizes 1-4 years only), elasticated waist with tie-ups to ensure comfort fit.